Trish Heinrich has posted the first video in a series of “Monday Moments.” This week, she talks about the release date of the next book in The Vigilantes series and mentions an upcoming and very exciting superhero fiction boxed set that you all may be interested in. Today is the cover reveal of Day, the second novel in Jessica Florence’s Hero Society superhero romance series. You can get a peek at the very cool cover here. This was a over a week ago, but Tor.com posted a review of The Private Life of Jane Maxwell by Jenn Gott, describing it as “odd but satisfying,” which sounds like a recommendation to me. Author Darius Brasher is setting up a Patreon page to offer readers free early copies of his books and other cool rewards like having characters named after them and the rights to name his unborn children. I’m pretty sure he’s kidding about that last one. Probably. If you’ve been debating whether to buy Supervillain High by Gerhard Gehrke, you can now get chapters 1 through 4 for free on Instafreebie and try it before purchasing. Any news I missed? 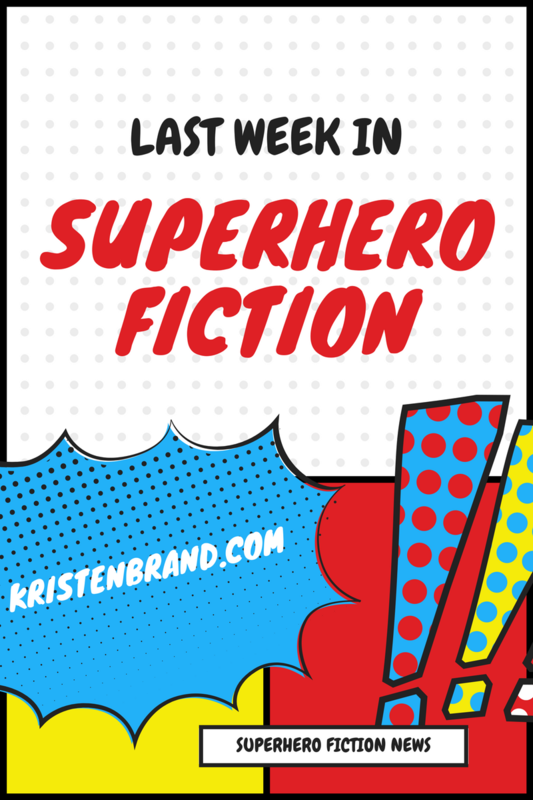 What superhero fiction are you currently reading? Let me know in the comments! Can I just say that you are awesome! Thank you so much for featuring my Monday Moment! Not at all! I’m excited that you’re doing videos.